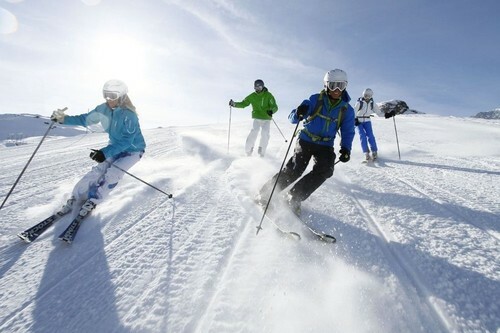 SKISET now offers the largest ski rental network in the world. Their core values to offer high quality products and a friendly service have remained the same since their inception in 1994. There are 350 European holiday companies that use SKISET for their clients and in France this accounts for 35% of the total ski hire market. Of course there are other ski rental chains in the market but none are as large as SKISET, the firm market leaders. With size comes economies of scale and good value prices for clients. However, size and good prices are by no means everything. Just as important are good service combined with a wide, well maintained product range. It’s good to know that the people who created SKISET and who still manage the business today are ski professionals themselves. For them the quality of equipment is very important - they are skiers at heart and business people second. Exceptional prices. Compare our amazing special tour operator rates. Great store locations either in the centre of resort or near the slopes and lifts. Good quality equipment that is well maintained. ScanFeet – a digital 3D foot measurement service to ensure best fit for ski boots (see below). The SKISET Academy spends 200,000 euros annually training store managers how best to serve their clients. Each SKISET store adheres to strict rules of rental process and customer service. The original founders include Annie Famose of Avoriaz. She was World Slalom Champion 1966, double Olympic medallist in 1968 and the French Business Woman of the Year in 2005. Today Annie is President of the SKISET group. Her experiences as a pro ski racer put her in good stead when it came to building the SKISET business. "High level sport taught me to take nothing for granted, one can always do better. There’s no secret, in order to succeed, one must strive hard, break new ground and surpass oneself. Whether in skiing or business, details make the difference, they enable you to win!" Joining Annie Famose were other original founders: Frank Piccard (Olympic Super G Champion 1988 and Olympic Downhill medallist 1992), Caroline Goitschel from Val Thorens and Leo Lacroix from Les Menuires. All were managers of ski hire stores in their respective resorts and all shared the same vision - to help their clients and each other at the same time. Key people at SKISET now include Philippe Koiransky who for 30 years skied by day and played jazz saxophone by night. Today he is passionate about the internet and heads up SKISET’s online booking system. It’s no surprise that the No.1 ski hire provider in the Alps has embraced the digital age. As well as their online presence SKISET have introduced the latest technology to streamline the rental process for their clients. Flagship stores in resorts across the Alps now feature 3D foot scanning to change their clients’ in-store experience forever. Ski boots play a vital role in transferring a skier’s energy through the ski’s edge and into the snow. Precision with a ski boot is integral with performance of the ski. However, comfort is integral with the skier’s enjoyment of skiing and therefore very important to get right. In order to choose the right ski boots for you SKISET have introduced ScanFeet which in 5 seconds measures foot length, width, volume and arch characteristics. The client’s details are then saved into their ‘skier profile’ which is easily accessed for any future booking with SKISET (online or in-store), regardless of resort. Once measured using ScanFeet the client’s foot profile is then matched to the various ski boots held at each store so that the best choices can be made. This is particularly important for children who sometimes find it hard to express their needs when it comes to ski boot fit.